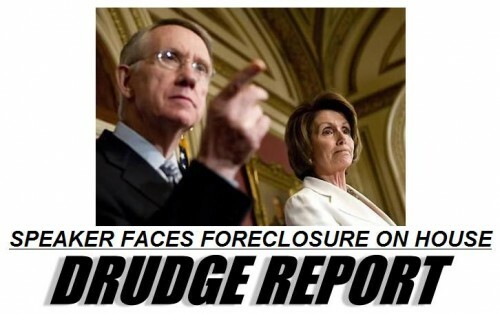 Whoa Nellie … 99 Democrat Seats Now in Play, Can You Say Former Speaker Pelosi? As reported at the Politico, 99 democrat held seats are now in play in this years 2010 midterm election. So what happened to the Democrat spin that the House races were beginning to tighten? To the contrary as discussed at Wake Up America, the races are not getting closer, in fact the number of House seats held my democrats is expanding. With two weeks remaining until Election Day, the political map has expanded to put Democrats on the run across the country — with 99 Democratic-held House seats now in play, according to a POLITICO analysis, and Republicans well in reach of retaking the House. It’s a dramatic departure from the outlook one year ago — and a broader landscape than even just prior to the summer congressional recess. As recently as early September, many Republicans were hesitant to talk about winning a majority for fear of overreaching. We knew it was terrible and Dems were in trouble when even SNL went after Reid, Pelosi and Obama. With all of this outrageous behavior by Democrats … is it a shock that they find themselves two weeks out of a political turkey Donkey shoot? Some Democrats say, according to The Hill, that Pelosi will not run again for Speaker. That’s nice; however, Nancy Pelosi will not have to make that choice as WE THE PEOPLE in two weeks are about to make the decision for her. Wow, you thought 99 was an unbelievable number for Democrat House seats in play … some are saying 117!!! The Democrats have just done to themselves what the Republicans did in order to get the 14th amendment passed. This cost the Republicans the entire South and Southwest for a period of nearly ninety years. This is not over with the 2010 mid-term elections. It will continue in 2012 as well.